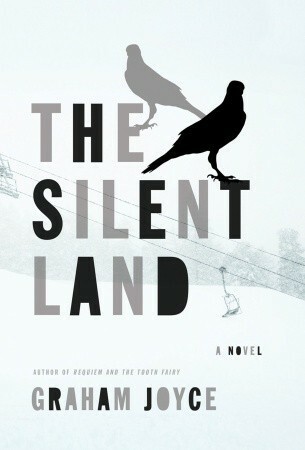 Graham Joyce’s novel, The Silent Land, is an entertaining supernatural thriller that delivers the goods. Jake and Zoe Bennett are on a ski vacation in the French alps when both are caught in an early morning avalanche. Fortunately, Jake is able to dig Zoe free from the snow before it’s too late. Having lost their skis, they wait as long as the can for a rescue team to help them back to the village and their hotel. In the end, the decide to walk back arriving several hours later, hungry and exhausted. To their surprise no one is at their hotel. No one is in the village at all. They decide that the entire town must have been evacuated due to the danger of more avalanches. While everyone is gone, they may as well have a bath and use the hotel restaurant to cook up their own dinner. After what turns out to be a romantic and passionate night together the two try to walk down the mountain into the next town. If you’re like me, you’ve already got a very good idea what is going on, and you’re right. But knowing this won’t spoil The Silent Land at all. What readers like us suspect is revealed to be true early on; that’s not the point of the novel. The point is what will Zoe and Jake do after they have figured out what the reader already knows. This discovery comes early enough in The Silent Land for the rest of the novel to build dramatic tension and to make the reader wonder what exactly will happen by the story’s end. You may find you’ve moved much closer to the edge of your seat before you finish the book. I found The Silent Land to be a pleasant surprise. It’s an entertaining, smart story that I thoroughly enjoyed. I hope to find more of Mr. Joyce’s work on my library’s shelves soon. This review first ran on my old blog, Ready When You Are, C.B. back in 2011. I feel a bit stupid for not having an idea of what’s going on, but that just leaves room for surprise, I suppose, haha. Sounds interesting. Hadn’t heard of this novel or the author before actually.